Last April together with IdRA the Jean Monnet Chair on EU Environmental Law organizaed a seminar on “EU politics on Water and International Cooperation”. 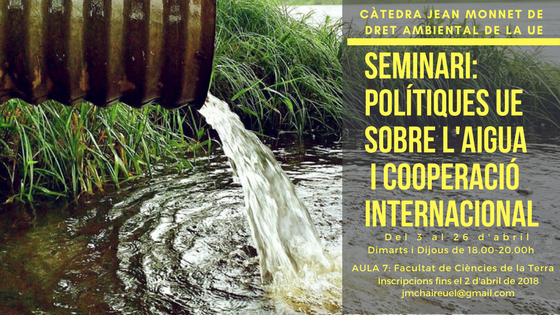 The seminar is included in the activities of the Master in Science and Integrated Management of Water. The aim of the seminar is to provide attendants the knowledge they require on EU Law and how it deals with the management of water resources.